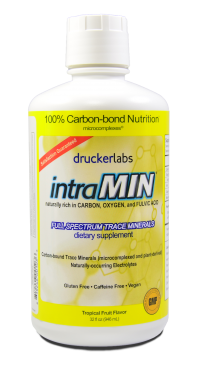 intraMIN® contains 71 organically-bound trace minerals and 65 naturally-occurring electrolytes and provides a natural energy source, promotes immune health and supports muscle function and hydration. 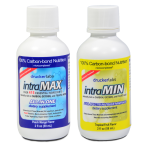 intraMIN® is produced using intraCELL Technology. 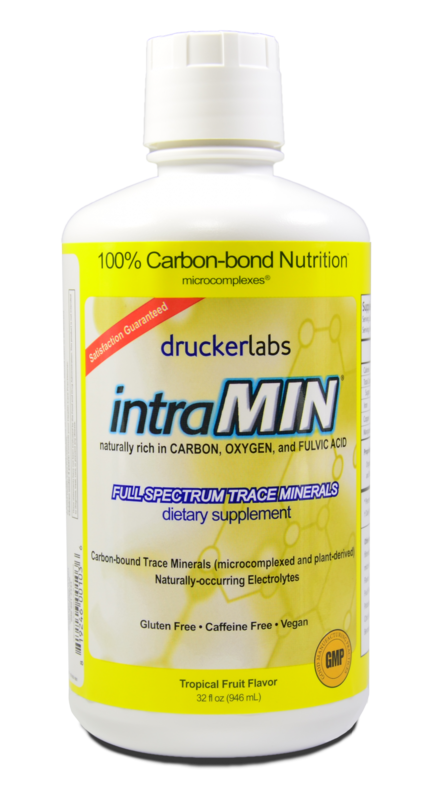 This innovative cold-fill manufacturing process allows the trace minerals in intraMIN to retain their maximum nutritional value while being enriched organically with naturally-sourced fulvic acid. 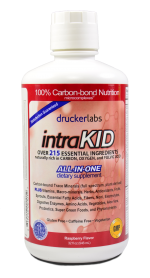 In just a one 30 ml daily serving, the 71 organically-bound trace minerals and 65 naturally-occurring electrolytes in intraMIN nutritionally support all of the body’s processes, including the endocrine, brain and nervous system functions. 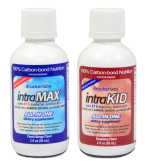 The intraMIN formulas easily assimilate and are gentle enough for those who are sensitive to harmful chemicals.